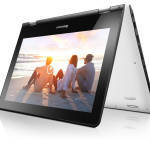 Lenovo IdeaPad Yoga 11 to run Windows RT Powered by Nvidia Tegra 3, 3G/4G Included? Lenovo has made an interesting move to segment their Yoga 11 and Yoga 13 models. The Yoga 13 is an Ultrabook convertible proper while the Yoga 11 is going to be an ARM-based device that runs Windows RT. If the convertible Yoga 13 form-factor interests you, the Yoga 11 might be a desirable Ultrabook alternative for those looking for a more portable package with even longer battery life (and probably lower cost). 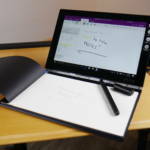 Lenovo still hasn’t announced a release date or price for the Yoga 11 but full official specifications are now available. Photos on Lenovo’s website show what could be a micro SIM card slot for 3G/4G. The Yoga 13 is what would be considered a “full computer” (and Ultrabook) which uses an Intel processor and runs Windows 8. 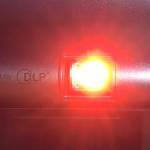 This means it is capable of running both applications from the Windows Store and standard desktop applications. The Yoga 13 also has a 13.3″ screen. The Yoga 11, on the other hand, is powered by ARM-hardware and runs Windows RT which means it can only run apps from the Windows Store, though it will come with Office Home and Student 2013 RT preview. The Yoga 11 has an 11.6″ screen. Both units use a special hinge, patented by Lenovo, which allows the screen to flip all the way around to transform into a tablet. It isn’t listed in the official spec sheet, but it does look like there is a micro SIM card slot on the back of the Yoga 11 that is not found on the Yoga 13 — Lenovo may be planning 3G/4G version of the Yoga 11. Alternatively this port could be access to the device’s MicroSD memory (see photo). We’ve reached out to Lenovo to confirm. The 11.6″ capacitive touchscreen on the Yoga 11 supports up to five-finger multitouch. Lenovo is calling the Yoga 11 “the world’s slimmest multi-mode PC” though it isn’t clear what other devices fall into that category. At 15.6mm, the Yoga 11 is slightly more thin than the Yoga 13 (16.9mm). 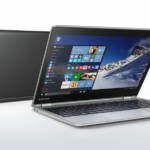 The smaller sibling soundly beats its bigger brother in battery life; the Yoga 11 will last for 13 hours while the Yoga 13 will endure for 8 hours, according to Lenovo — with the obvious trade-off being power vs. battery life. The Yoga 11’s 11.6″ display has a resolution of 1366×768. An Nvidia Tegra 3 processor is inside to power the computer and is accompanied by 2GB of RAM and 32GB or 64GB of storage. Bluetooth 4.0 and WiFi b/g/n are included for wireless connectivity. 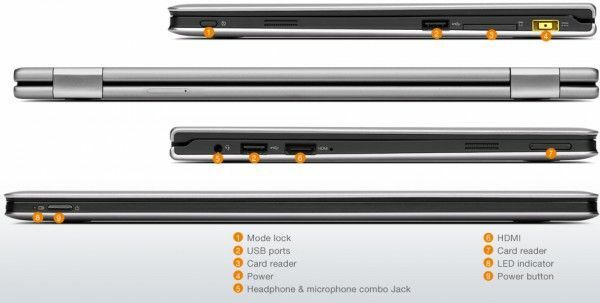 The Yoga 11 ports are (as expected) quite minimal. You’ll find 2x USB 2.0, a full SD card slot, full HDMI, and a 3.5mm headphone/microphone combo jack. The front of the Yoga 11 also has a 1.0MP webcam. 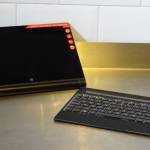 The Yoga 11 weighs 1.27kg (2.8lbs) which is 18% lighter than the Yoga 13 (1.54kg). 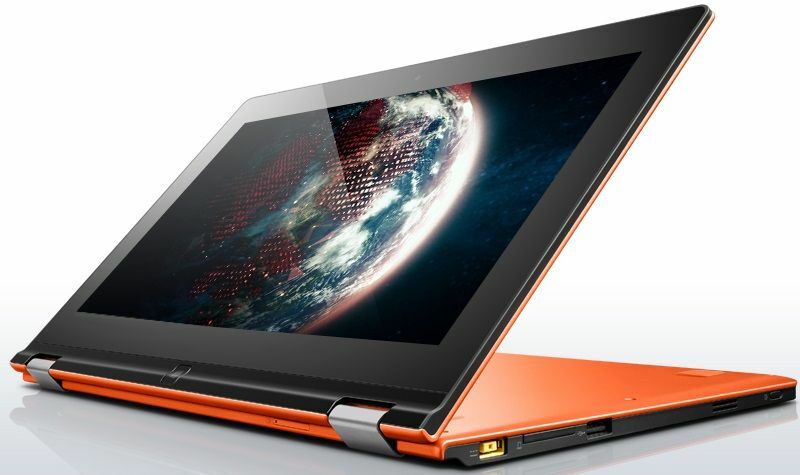 Lenovo has not yet announced the Yoga 11 price or release date but our best guess is Q1 of 2013. The Yoga 11 is also likely to be cheaper than the Yoga 13; likely around $599 for the 64GB Yoga 11. 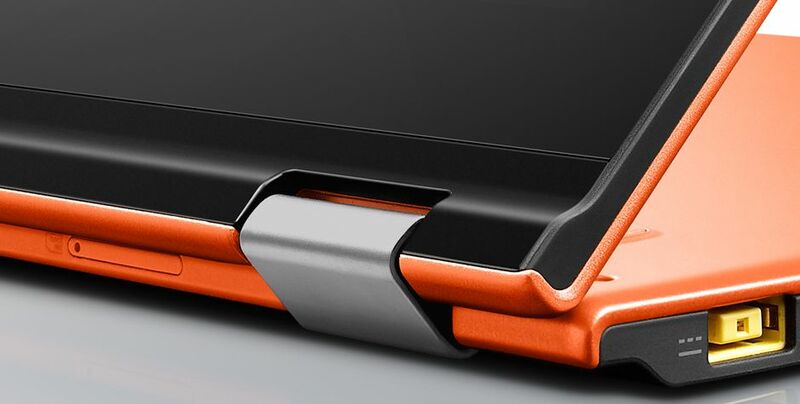 Lenovo is also offering their interesting ‘slot-in’ case for the Yoga 11 as an optional accessory for $40. 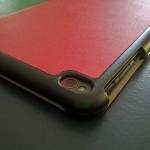 This is a sleeve which can go over the Yoga 11 while it is closed or slide over the keyboard to keep it covered while in tablet mode. The slot-in case is also available for the Yoga 13 for the same price. Would actually prefer it was running the same CPU as the 13, Windows RT is not that useful to me without x86 applications and the Yoga 13 is just a little too big and heavy. An 11″ Ivy bridge version would be ideal. I agree, if I could have it my way I would get the Yoga 11 with Core i5! I would love to see at least one Windows RT device with a stylus. I would get it just for the colour!! Just bought yoga 11 on RT, it seems run very slow loading videos,- anyone have any suggestions to speed it up? and preceding technologies, it’s awesome article. ever been running a blog for? you make blogging look easy. The entire look of your website is magnificent, as neatly as the content! trying to get started and set up my own. Do you require any coding expertise to make your own blog? actually loved the usual info an individual provide in your guests? Hi! I could have sworn I’ve visited this website before but after looking at a few of the articles I realized it’s new to me. Regardless, I’m definitely happy I found it and I’ll be book-marking it and checking back often! I absolutely love your blog and find the majority of your post’s to be what precisely I’m looking for. I wouldn’t mind writing a post or elaborating on some of the subjects you write about here. Again, awesome site! « What Touch Ultrabook Design do you Prefer?